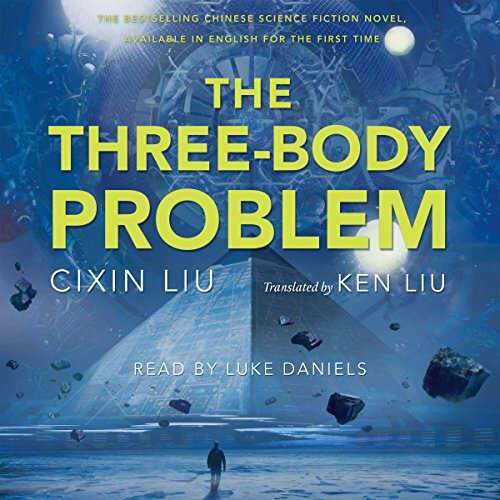 ThreeBody Problem is the first chance for English-speaking listeners to experience this multiple award-winning phenomenon from China’s most beloved science fiction author, Liu Cixin. struggled to finish, and was then disappointed. the author makes frequent random plot twists, without creating or obeying any constraints on the invented world. occasionally scientifically clever. opens with a searing political crime that is so painful it is almost unreadable. 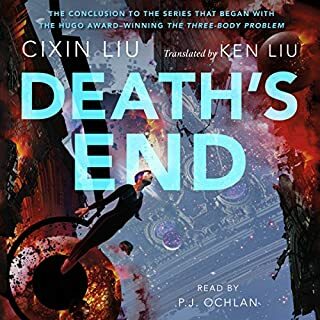 Thoroughly enjoyed the three body problem it's view on society and alien culture was refreshing coming from a non-western ideal. Luke Daniels precise and clear read was very enjoyable. 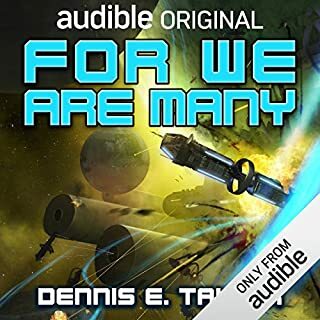 I do feel the one of the few things that could have made this better was having the female narration for the female-driven parts of the book would have increased it's relatability. Damn good book. Very inventive. Really good narration. I was impressed with it all. Good stuff. Interesting story and very detailed. Great book. Not easy to follow. you really have to pay attention to what is going on. But, once you comprehend and be patient than the story unfolds into something much bigger. Some really great ideas in this book, but the pacing is very slow. Performance for some characters seemed pretty cartoonish. One of my favourite sci-fi books, and I love how deep this particular story went regarding cultural revolution. The problem for me is that it’s hard to focus on the book with this monotone performance. This is an interesting story with a very strong hard science edge to it. There is a lot of theory - mainly in astrophysics - presented here. That may put some people off listening to this book. But the view from inside the Cultural Revolution was very interesting, especially when you factor in its impact on the teaching of science and scientific research. I thought I might have trouble keeping track of the different Chinese names, but that wasn't the case. The actor who read the story did a reasonable job of making each voice distinct and I'm sure that was a tough task. The cultural perspective of the author is different from Western writers but the story still flows and the tension builds - but very slowly. The author believes in the slow reveal and this generally works. I found it a bit hard to transition into the Three Body game - it seemed to come out of nowhere and was very surreal but once the links were made it became clear why the author used this device. Overall, this is an interesting book. 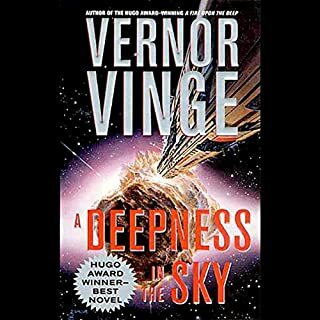 If you are a fan of science fiction with a very strong hard science edge, I recommend this book to you. It is a challenging read but very worthwhile. It's very difficult to describe this book. It's reminds me of the book "Spin" by Robert Wilson. It takes many strange science related events and use many characters smaller stories to relate these events, which in the end add up to something big and sinister going on. This book was apparently translated from Mandarin to English. I am 1/2 chinese, growing up up in America but my family spoke Hakka do I can't really say how well the translation is done. I will say that if I wasn't told it was translated, I would have assumed it was originally written in English by someone with a Mandarin background. While reading, I had to do a lot of searching on Wikipedia as large portions of the story occurs during the 1960 - 1980's. I personally did not know much about the cultural revolution, youth red guard, or the period known as the Great Leap Forward, and other things that occurred in China during that time but this book made me want to find out. I don't think you have too do a lot of research to enjoy the story, for example if you don't know what a "Struggle Session" is (I didnt), the story gives you enough information to infer what it is. Though if you do a little research I personally think you will enjoy it a lot more. The other portion of the book takes place in a modern to slightly futuristic setting. Say a state that the world could theoretically reach in the next 10 years. During this period, strange this are happening in the areas of science both in academia and industrial application. These strange things almost seem to have a supernatural force causing/guiding them from the background. To unravel the mystery a bunch of smaller stories of these strange occurrence are told from multiple characters and eventually they are slowly linked up to help you get a larger understanding. I wish I could describe it better but like I said the closest book I've read to this type of story telling is "Spin" by Robert Wilson. The book is a little slow so I'd suggest trying to get a least 2 hours in before you decide whether you like it or not. Luke Daniels does a great job narrating. I actually liked the fact that he didn't use a lot of Chinese accents when reading. As the bulk of the characters are Chinese and they are supposed to be speaking Mandarin, Mr. Daniels just chooses to to different voices with no accents. Rough throaty voice voice for the hard boiled detective, soft we'll spoken voice for the academic professor, nonchalant blasé voice for the lazy uncaring stay at home husband. It works well. Two personal things I really enjoyed about this book is if you were heavy into math or science in college, this will probably trigger some memories. I learned both assembly and machine code in college and as I stated in the reviews title, there is a scene where they create a human computer using a 30 million man Chinese army holding flags to represent or/x-or, and/n-and gates. I pretty much died laughing during that scene. Wish my college professor would have made us do that when I took the class. Would've made understanding logic gates and transistors so much easier. Also this is the first book I think I've read where China, the U.S., and U.K. are all on the same side working together. While the book does show the differences in ideological views between the east and west and doesn't try to hide past and modern animosity, it does portray a situation where the governments recognize their differences and are able to work past them due to a larger issue being at stake. It was really nice to not have the stereotype of the eastern block as being the enemies. It was pretty cool for the author to imagine what could be done if east and west were able to work together as allies and equals. Apparently this book is the first of a trilogy and I believe while all 3 books are complete only the 1st book has been translated to English. I believe the 2nd book is being translated now for written release but no word yet on a audio release. 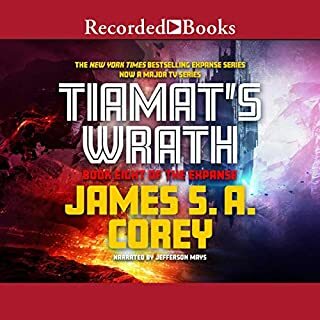 If you enjoy the book like I did please send audible a content request for the remainder of the series. This is one of those science fiction stories for which the SCIENCE should be capitalized. It is definitely hard science fiction. In fact, the science can bog the story down at times, just a bit, but not enough to detract from what is an amazing story. No science fiction works without a great plot/concept driving it and The Three-Body Problem has zero problem on that score - an experiment, done out of a kind of desperation, actually results in first contact with an interstellar alien community and sets up a pending crisis. But even a great concept still needs good characters, setting, and fluid writing to make for a great sci-fi read. I didn't have much trouble with setting. 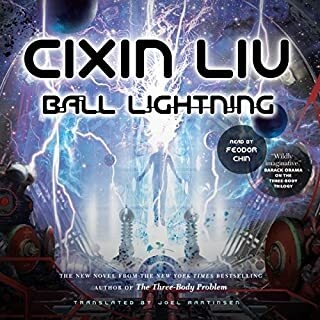 This first book of a trilogy draws on the Chinese Cultural Revolution, past and current geopolitics, and current and theoretical quantum physics to set the stage for the saga - interesting, with plenty of potential to sustain the trilogy. My only quibble with the setting used was with the sequences that take place within an on-line game. 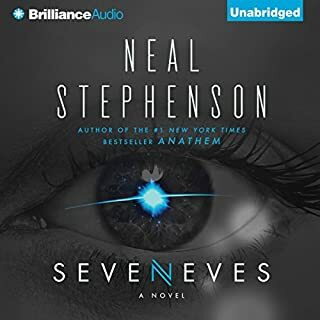 It is in the game that characters attempt to resolve the Three Body Problem and I found those segments of the book to be rather dull and confusing. No doubt some of the information in those sections will come into play in later books, but they read like bad dream sequences where you don't have any context to make sense of what is going on. And, there is no plot or character development happening during those passages so I just wasn't engaged during those sections. The flow of the writing feels a bit choppy, but I would chalk that up to the fact that this is a translation. The translation seems pretty good in that the meaning is clear, but English and Chinese are such very different languages there is bound to be some loss of fluidity. Ultimately, my biggest difficulty with The Three-Body Problem is the characters. The book starts with Ye Wenjie during the Cultural Revolution and she is a very interesting character throughout the book and the only character that is ever really fleshed out. Much of the book is from the POV of Wang Miao, a character that gets little back story and is hard to connect with, and none of the other characters is more than sketched. The Aliens may have some potential in the sequels, but ruthlessness is about the only characteristic they show in this first book. 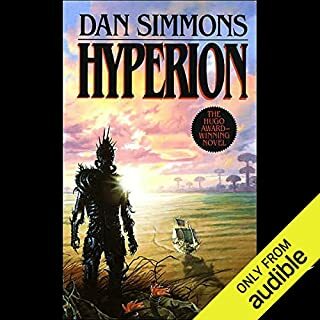 Luke Daniels does his normal phenomenal job of creating great character voices which is a huge help with a book with unfamiliar names and he adds much to making this a good listen. 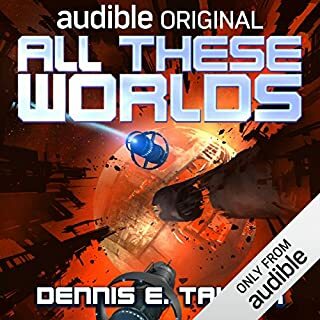 Bottom line, The Three-Body Problem is challenging, but intriguing and I will listen to the sequels when Audible has them available. I found the narration to be a little bit harsh - voices were flat, angular and forced. There were some enjoyable moments, and the narrator seemed to have a consistent grasp of individual characters. The story, though. Ugh. This is a classic example of a story that "tells" rather than "shows." It seems quite clear to me that the author had a pretty good idea about a science fiction concept, but no clue how to wrap a story around it. The storytelling is somewhat interesting to me as a westerner, as it offers a glimpse into another culture, but other than that small redemptive value the story is bland, childish and shallow. The vast majority of the story is told in a style of passive observation during which the narrator simply reads an outline of plot points. Boring. This seems like an unfinished sketch of a story that did *not* leave me wanting more. 3 Body Problem isn't terrible, but it's only the introduction to a trilogy. It cannot stand on its own in any way, which made me feel angry and cheated as a reader. The entire book is really only a reveal. Like an origin story without a subplot. By the end of the book the baseline for the rest of the series has been established, that's all. I don't find that acceptable as a reader, sorry. The rest of it is passable, and I will read the next two so that I actually get any resolution, as there is none to be found in this book. So I guess everyone wins right? The reader reads more books and the writer gets to sell more books, or something. 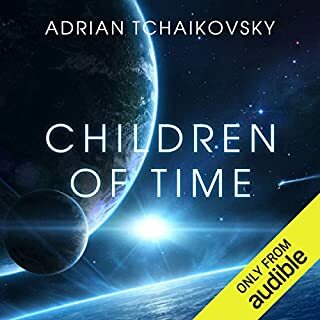 One of the absolute best..
Where does The Three-Body Problem rank among all the audiobooks you’ve listened to so far? 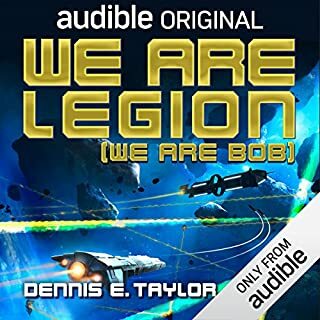 With little doubt this is the best audio book I have ever listened to and ranks as one of the best books I have read. Being a huge Iain M Banks fan that is saying something.The narrator was simply brilliant. Narrators like Luke Daniels make movies seem shallow and unsatisfying. 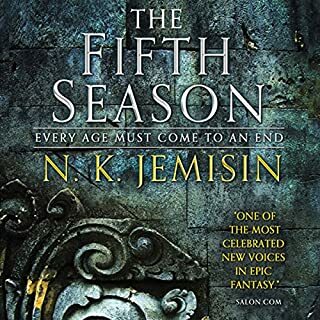 When coupled with a writer like Cixin Liu and the superb translation by Ken Liu.. unlike Cixin I don't have the words to describe this level of the art form. 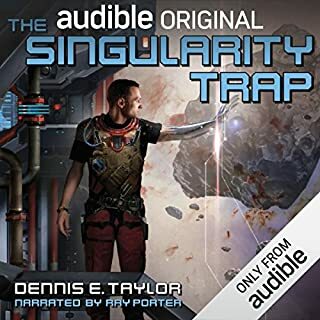 Listening to this book was a wonderful experience. The exposure to the Chinese way of thinking and problem solving. When the detective takes a drunk professor Wong and the physicist to the field outside the city and shows them the locust plague...Absolutely beautiful piece of prose. Mind altering.Also the end... don't want to give too much away. Just brilliant. It changed my western bias about Chinese thinking and gave a very different perspective of China. Living in a developing country that has 11 official languages I am no stranger to cultures other than my own and I can relate to the seduction of ideology and theology. As Michael Stipes of the rock band REM wrote: "Mythology; seductive, and it turned its trick on me, but I have just begun to understand..."
The ending also provoked a strong reaction... lol. You'll see. 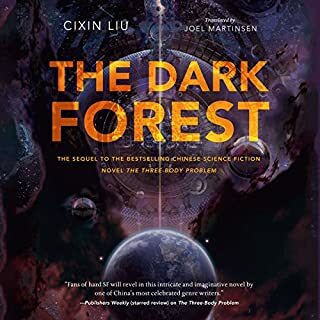 Cixin Liu's The Three Body Problem is an intriguing and engaging read. Much of the early tale occurs during the Chinese cultural revolution, mainly concerning a young physicist whose parents were on opposite sides of the divide. She becomes involved in a top secret Chinese science endeavor that ultimately sets in motion the main driver to the plot. As a result, current day presents divided camps of nearly religious-like followers anticipating the invasion of Earth by an alien force. The main character in present day is a materials nanotechnologist who becomes integral in locating the cult and taking down the group. The sci-fi elements are diverse including the unique physics of a world with three stars that has no stable orbit. Interestingly, the reader is oriented to this world through an elaborate computer game that is rather addictive. Use of the the sun as a signal amplifier and nanotech monofilaments are offered, although not necessarily original. Of particular note is that this was originally written in Chinese and so this version is a translation. As such, the aspects unique to the cultural revolution have a genuine sense about the mood and feel of the time. The narration is well done given the overwhelming number of Chinese characters, as well as non-Chinese with good gender distinction. Pacing is a bit slow, but the early portions have more of a storytelling feel than an unfolding novel. 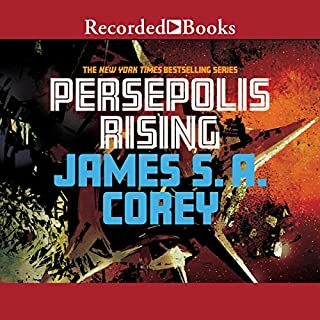 This book reminds me very much of classic "Golden Age" science fiction (Asimov, Clarke, Poul), with some interesting historical twists. Like many Golden Age books it is primarily a novel of ideas, some of which are very technical and others purely philosophic. And, it may be partially due to the translation, but it also feels like it was written by an author who was a scientist first and a writer second. - character interactions, romance, and emotion all take a back seat to the ideas in the book. And the ideas are really interesting! 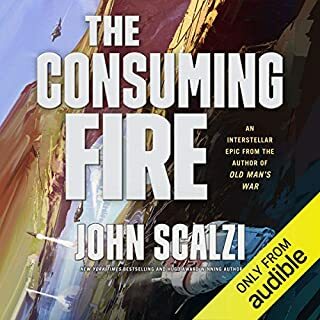 The setting of the Cultural Revolution is fascinating and horrifying in itself, but it also informs the way in which the book grapples with common SF-tropes (SETI, the advancement of science, environmental degradation) in ways that make these topics feel strange and fresh. At the same time, however, while the structure of the novel (flashbacks, seemingly unusual switches in the focal characters, etc.) helps make the ideas more powerful, it creates a lot of additional alienation from the human side of the story, which was already a bit thin. The result is a fascinating novel, but one which is not always immediately listenable and compelling. It has taken me a long time to work through this relatively short book, though I have never been particularly bored or regretful of the journey. It is completely worth a listen (or maybe a read? Perhaps some of the problems are less apparent in written form? ), but it is not always propulsive. The reader is fine, but adds to the strange drifty quality of which of the work. In the end, the book offers much of the best of speculative fiction (reflections on big ideas, amazing scenes, a sense of wonder), but has some of the key weaknesses. For me, it was a completely worthwhile trade-off, but you may think differently. I dip now and then into the supposed SF masterpieces of the new writers, and often I'm disappointed. 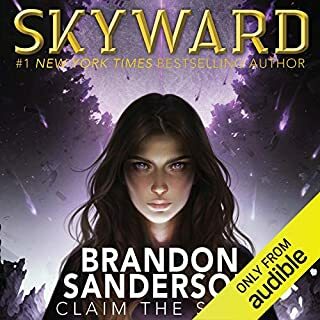 This is all the rage at the moment, and while it was good and had some interesting ideas and is no doubt well researched, I found myself listening just for the plot and ideas; I didn't connect with any of the characters really. 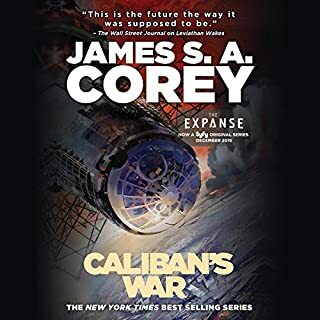 I think again this shows a fundamental problem with current writers of SF and other genres, but especially SF, where the science and ideas are the story, and the writing is at times atrocious (not here) and the characters and human-ness and individuality are at best secondary. Maybe much is lost in translation, I'm willing to concede that possibility. There are some nice moments and writing and imagery here, but over shadowed by plot. There are many references to SF writers (Clarke Asimov) and novels (Fountains of Paradise, Foundation) along the way which was fun in an easter egg type of way. I'm probably not that helpful here as I don't want to spoil it for anyone. Basically there is a bit of a 1984 style opening; there is a Contact type of plot; there is a Gibson-esque virtual reality game element (which normally leaves me cold but worked along with the story to reveal important ideas); there is a bit of a Crichton use of science element which I liked very much. In all there are enough story elements to keep you interested as it shuttles about, I just wish I had been able to attach to the characters better. It may be that part of the trouble for me was that many names sound similar (not being racist here) and our unfamiliarity with Chinese names hinders english speakers a bit. A couple of times a name is given and someone mentions what the name means in Chinese; it may be that all of the names mean something we're unaware of and for Chinese speakers this helps to delineate who is who. I did go on to the 2nd one, Dark Forest, but may not 3rd. 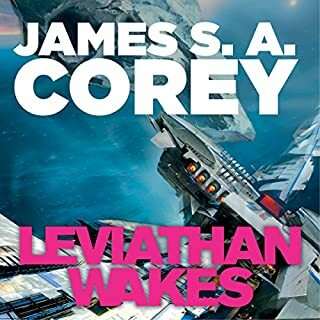 Again, I like very much the ideas and science and plot and the logical thought processes and the philosophical and buddhist pondering; if I could have really gotten attached to a character I might have given it 5 stars. It was nice to read my first science fiction story by a Chinese author but the story was a bit slow and monotonous. The worst part was the description of the video game in the story which was boring and didn't make the kind of sense it should have. The best parts where the characters and the telling of parts of Chinese culture that few of us ever hear about. It was the Chinese prospective on this story that kept me listening.